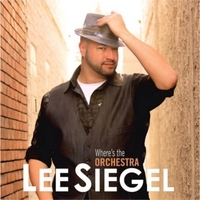 At the time of recording Lee Siegel was performing at The Stratford Festival, North America’s largest Classical repertory theatre. Lee joined me for a candid chat about how he went from high school drama classes to Broadway. We also discuss the inspiration behind his CD “Where is the Orchestra?” and the creative way he raised money to produce it. Check out episodes that also mention Broadway, Crowdsourcing, High School, Musical Theatre, Stratford.